I don't usually post up individual pics in a post but I came across this one today and it was actually quite an emotional one. The legendary Jim Henson passed away 21 years ago this Monday just gone. 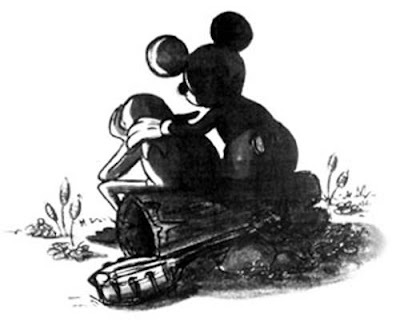 The Summer 1990 issue of WD Eye — Walt Disney Imagineering’s employee magazine — contained the touching tribute by Disney artists Joe Lanzisero and Tim Kirk which can be seen below. Mickey comforting Kermit.